Cooking dinner, doing laundry and budgeting money are just some of the daunting challenges most young people face when they leave home for the first time. 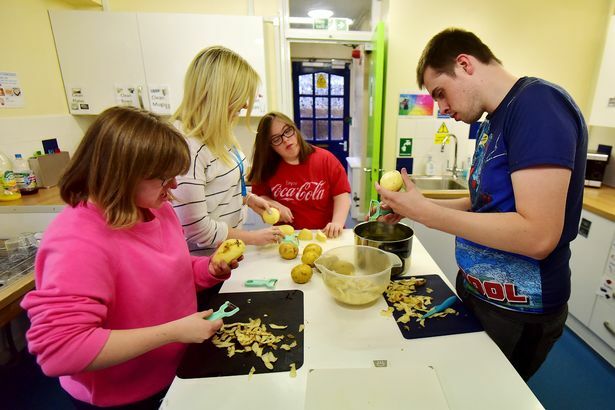 And while they may seem like trivial tasks for most – for youngsters with special educational needs being able to travel on the bus by themselves or shop and prepare their own meals are huge milestones on the road to independence. As a result places like The Brislington Centre have become a beacon of hope for both young people and their parents that at some point they will be able to live the life they choose rather than the one society thinks they are capable of. 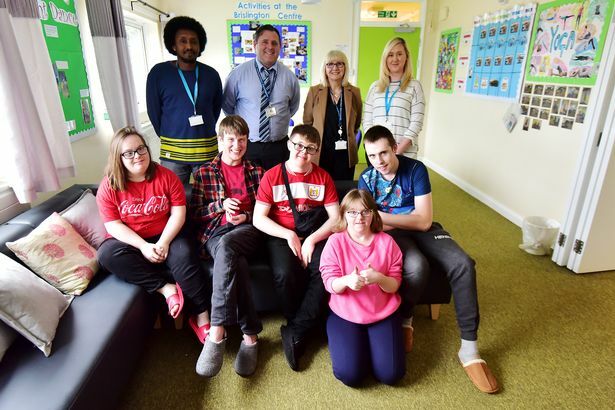 The only one of its kind in Bristol, The Brislington Centre, which is part of City of Bristol College, is an independence training facility for youngsters aged between 18 and 24 with additional special needs. There are seven young people with various needs who live at the site during the week – travelling home for the weekend and school holidays. Each youngster has their own bedroom but share common spaces such as a living room, kitchen and laundry room. The centre is staffed 24 hours a day. The aim of the facility – which opened just 18 months ago – is to provide students with the skills to live a more independent life. Whether it’s managing a food budget, washing clothes or learning how to use household appliances safely. 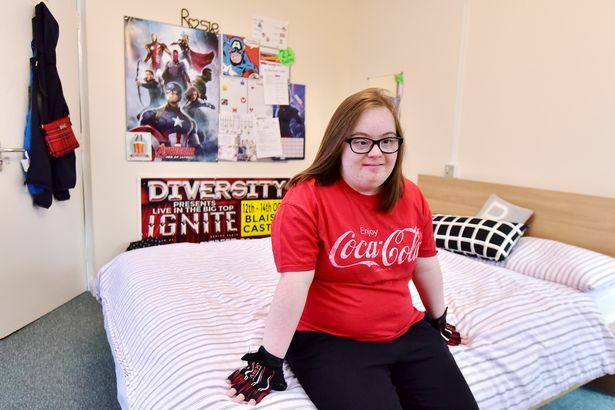 The students live at the centre for two to three years while they complete classes at the City of Bristol College – with the end goal of being able to live an independent life and eventually enter the workforce. And after 18 months under the care of residential training manager Adam Metcalfe and his wonderful team of support staff the young people who live there have come on leaps and bounds. “It’s really incredible to see how much they have progressed and how independent they have become,” said Adam. “They have all gone beyond my expectations already when it comes to taking care of themselves. Adam said it is also great for parents to see how independent their children have become. One of the young people who has really benefited from staying at The Brislington centre is 22-year-old, R, who hopes to one day work as a receptionist at a care home after undertaking a work placement at a lunch club for the elderly in the Wells Road area of the city. “I like speaking to the older people and handing out the hymn books and signing with them,” she added. For training manager Adam seeing the youngsters become part of the wider Bristol community is one of the great things about this facility. Especially with R who used to struggle to get the bus by herself but is now training to be a travel buddy so she can teach other students how to get around the city on the buses. 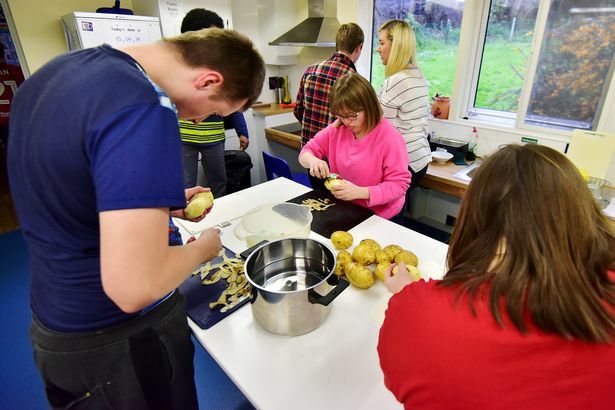 “There was nothing like this in Bristol until September 2017 – which meant any young people wanting to attend a facility like this where they can learn these skills which are vital to their independence – would have to travel out of county,” added Bernadette. “What parents were looking for was a place where their children could get that independent living experience but here in Bristol. “We knew it would be better if they were learning skills within their own community so they can use those same skills when they go home. “They are learning to travel on Bristol buses and making work place links in Bristol. “If they had been away and come back to Bristol this would still have been a strange place for them. With The Brislington Centre having just seven bedrooms for students it is clearly no where near to being able to meet the need that there is in Bristol. But it’s a start and the kitchen and laundry areas of the house are used by other college students during the day to also learn life skills such as cooking and cleaning. However the level of interest in the house and the success of the facility so far has led to more investment from Bristol City Council which will allow the centre to expand. From September three living pods are set to be installed on the site. Each pod will be like a two bedroom flat where the young people currently living in the house can move out to in order to take the next step towards their aspirations of living a more independent life. The expansion has been made possible thanks to a half-a-million pound cash injection from Bristol City Council. Cabinet member for education and skills at the authority, Anna Keen, said: “In Bristol, we believe that everyone, regardless of any additional needs they may have, should be able to access education in a way that supports and encourages them – The Brislington Centre is a great example of this ethos. “The centre provides training to help improve participant’s independence once they leave education, enhancing their ability to lead meaningful, adult lives in their communities. The youngsters at the centre will get to choose a friend to live with – similar to moving out of student dorms into a flat with your friend explained Bernadette. “With the pods they will still be on site – living with a friend very close to the site with support on hand – but more independently,” she added. “Making more choices for themselves about their lives but with the staff on hand if they need them. For Adam and Bernadette there hope is that when this group of young people leave The Brislington Centre they will be much more prepared for the real world and have the skills to play an integral part of the Bristol community. “They might always need some kind of support but we want each of them to be in a position where they decide what type of support they get,” added Bernadette. Adam added: “Everyone is different just because they are classed as having special needs they aren’t all the same. “Just young people in the community who want to do the same things as other 20 and 21-year-olds.